The crisis yielded surprisingly few M&A bargains. Blackstone found one right at the heart of the City. In 2009 it bought half of the site that houses UBS and Icap from a wobbly British Land. Four years on, foreigners’ love of London property means the bet will pay off handsomely. 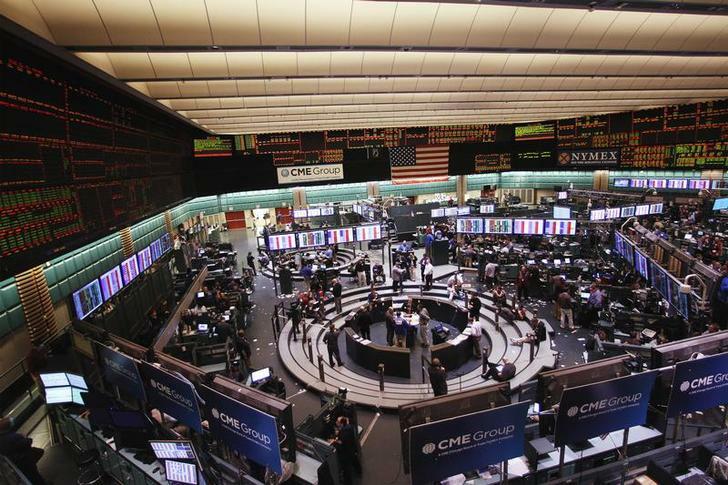 Traders work in the crude and heating oil futures pit on the floor of the New York Mercantile Exchange March 7, 2011. GIC, the Singaporean sovereign wealth fund, is in exclusive talks to buy Blackstone Group’s half of London’s Broadgate estate, the Times and Financial Times newspapers reported on Aug. 21. The deal would be worth about 1.7 billion pounds ($2.7 billion), the papers said. The U.S. investment group owns Broadgate, a 30-acre City of London site whose tenants include UBS, Icap and Herbert Smith, through a joint venture with British Land. Blackstone agreed to buy the stake from British Land in September 2009. It paid the UK property group 34 million pounds in cash, injected another 55 million of cash into the JV, and committed to pay another 18 million by September 2016. Blackstone, British Land and GIC declined to comment. With $64 billion of property, Blackstone says it is the world’s biggest private-equity investor in real estate. It wants to raise as much as $5 billion for a new European property fund, Reuters reported on Aug. 19, citing a source familiar with the matter.